A lovely village at the foot of Sutton Bank, Kilburn is famous as the home of woodcarver Robert Thomson, the 'Mouse Man of Kilburn', and for the chalk figure of a white horse carved into the hillside above the village. Kilburn dates to at least the late Saxon period and was mentioned in the Domesday Book of 1086 as Chileburne. 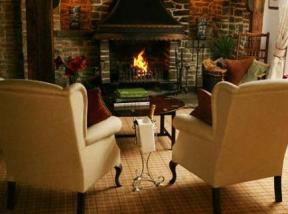 The name itself probably comes from a combination of the Old English words 'ciele' and 'burna', meaning 'cool stream'. Henry I granted the manor to Rouen Cathedral in France, but after the Dissolution of the Monasteries it ended up with the Archbishop of York. A hermit from Whitby lived just outside the village, and in 1138 Robert de Mowbray, then lord of Kilburn, used the hermitage as the foundation for a new Cistercian abbey. That abbey later moved to Old Byland, and then again to Byland, 2 miles away, where the abbey ruins can still be seen. 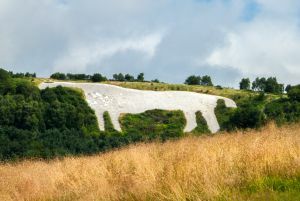 A famous local landmark is the White Horse of Kilburn, a huge figure of a horse cut into the chalk of the hillside above the village. The horse is over 300 feet long and can be seen for miles. Unlike similar hill figures which may date to prehistoric times, the Kilburn Horse can be accurately dated to the mid 19th century, and is the work of a local schoolmaster and his pupils. Robert Thompson (1876-1955) was one of the most famous British woodworkers since Grinling Gibbons in the 17th century. A Kilburn resident, Thompson set up a furniture business here, and 'signed' almost every piece with a small carving of a mouse. 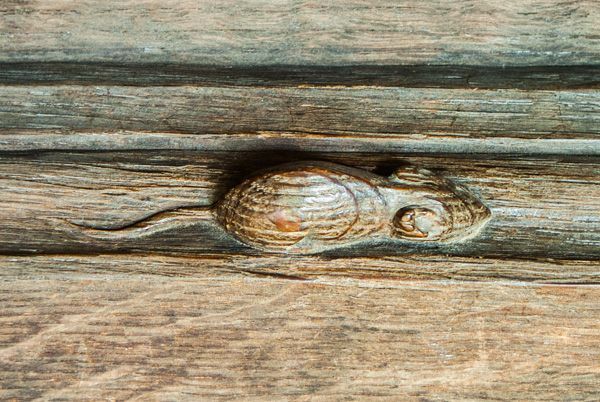 The symbol apparently came about in 1919, when Thompson joked to a fellow carver that he was 'as poor as a church mouse'. He didn't stay poor for long, as his designs were in great demand from the 1920s, particularly for church work. Perhaps his most famous work was a commission for wooden candlesticks at Westminster Abbey in London. The Thompson company showrooms are beside the village church. The parish church is St Mary's, built in the 12th century and restored in the Victorian period. The chancel arch is 12th century, and there are 2 13th century grave slabs at the entrance to the north chapel. There are 17th century pews in the north aisle, and an 18th century memorial to 8 children of Christopher and Elizabeth Sturdy.